Dublin heavy rock/metal band formed circa 1977, led by Gerry Quigley, who studied guitar with Eric Bell. Initially a quintet with twin lead guitars, bass, drums and lead vocalist. They toured all around the country throughout 1978, building up a live following. They recorded a demo at Keystone Studios in 1978 and sent out a four track tape to record companies. This lineup splits circa May 1979. 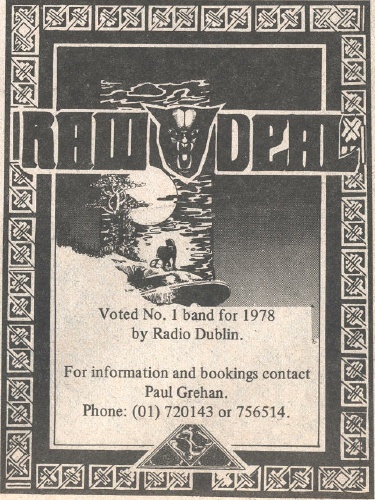 Gerry Quigley (lead guitar) and James Whelan (vocals) recruit members for a new Raw Deal following the May '79 break up. By December 1979 the lineup includes Peter Cleary (bass) and Nollaig McDermott (drums). Dave Farrell (lead guitar) plays with the band but does not become a full member. The band was featured in Hot Press' Shamrock Shuffle piece on bands to watch in May 1980 (vol.3 nr.22). By 1982 Gerry Quigley had a assembled a completely different lineup, including the ex Freebird rhythm section of Terry McManus (also ex The Wand Peace Band 1976-7) on bass and Dave McClelland on drums. By the time Raw Deal split, Dave McClelland had been replaced by Stuart MacMillan. Gerry Quigley emigrated to Australia in the mid-80s where he plays with a blues rock band called The Shinkickers and also records progressive folk-rock solo material. Terry Lyons was later in the Candy Zoomz (1983-86). Terry McManus later did live sound for many bands, including Shush and Auto Da Fe. Val Doyle emigrated to the USA in 1982. Gerry Quigley is the brother of Pat Quigley (Movement, Macbeth, Orphanage). 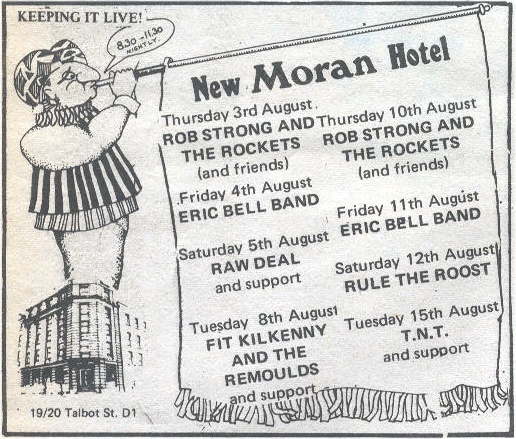 Appearing at Moran's Hotel, Dublin, August 1978.